La Grande Bellezza is a 2019 Leopard 58 offering spectacular top deck lounge/BBQ area with bar, surround sound and state-of-the-art lighting. 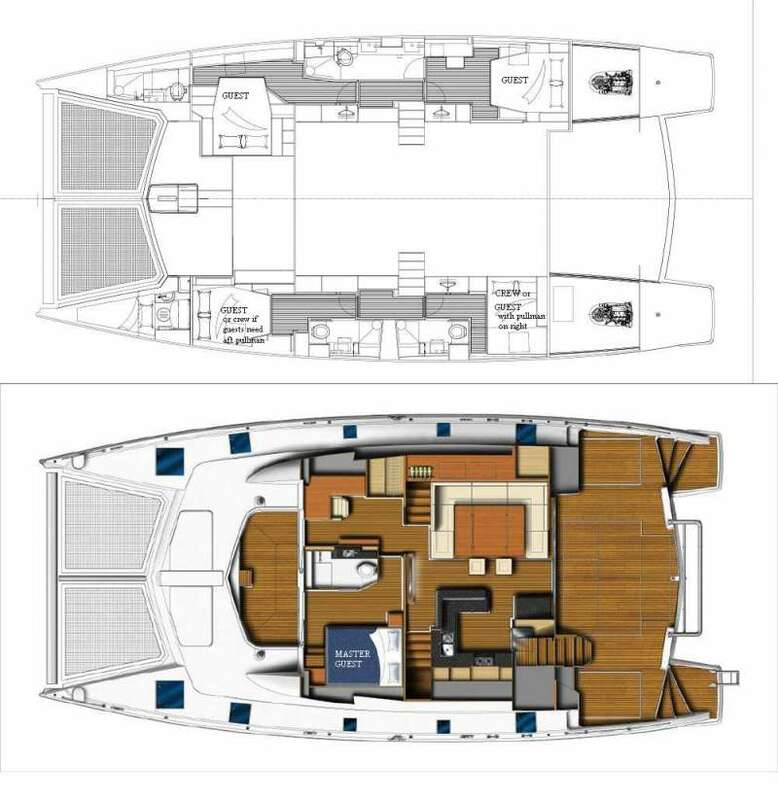 The yacht’s lower main deck offers vast space with alfresco dining, swim platform which will lower to water level, walk in salon with lounge/formal dining area, galley and the master stateroom and passageway to front cockpit. Below are 3 additional guest cabins. All cabin offer private en-suite bathrooms with electric toilets and dry shower stalls. Lots and lots of water toys, come play aboard La Grande Bellezza! Contact us for rates and current availability or to book a charter aboard La Grande Bellezza! (1) Double berth cabin on lower level with single pullman bunk over, this cabin has private ensuite head with electric toilet and stall shower. Interested in La Grande Bellezza?